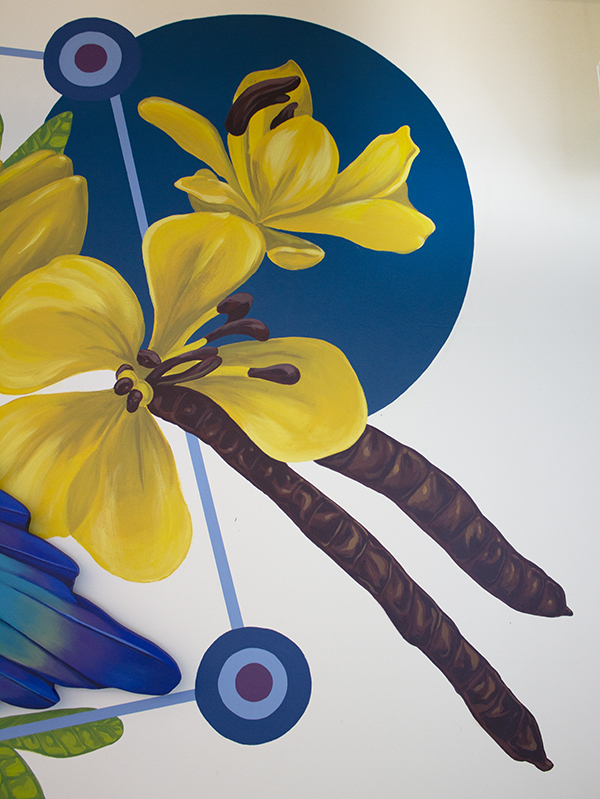 In February of 2019 I was commissioned by Corvus Insurance to make these portable murals for their walls. 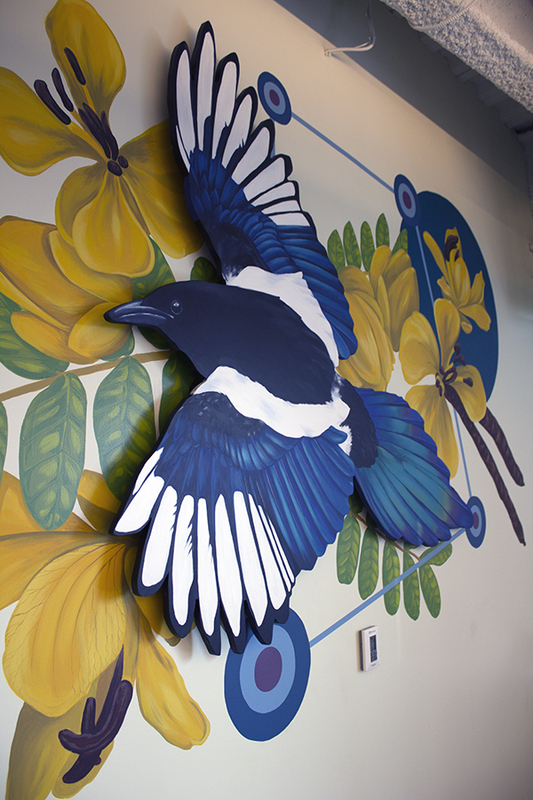 The backgrounds are painted on and the birds are plywood cutouts that they can take with them when they move. 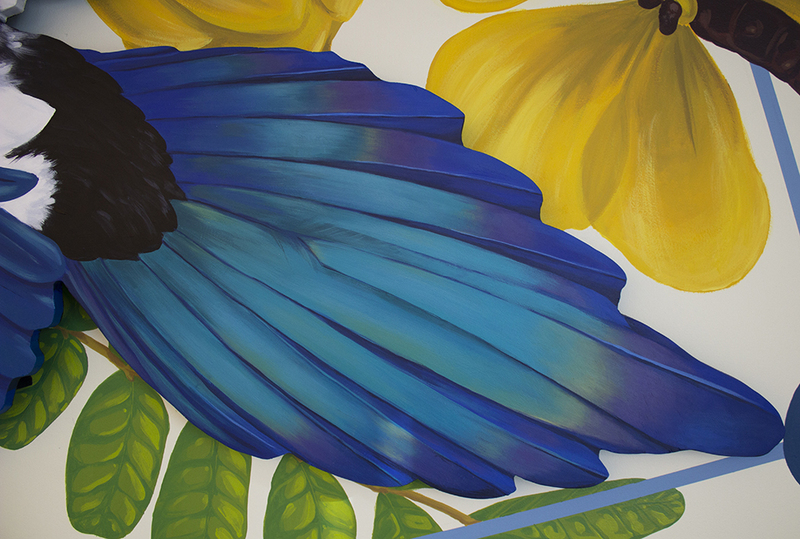 I was inspired by the name of the company to paint all corvids – a magpie, a San Blas jay, a Steller’s jay, and an Inca jay. 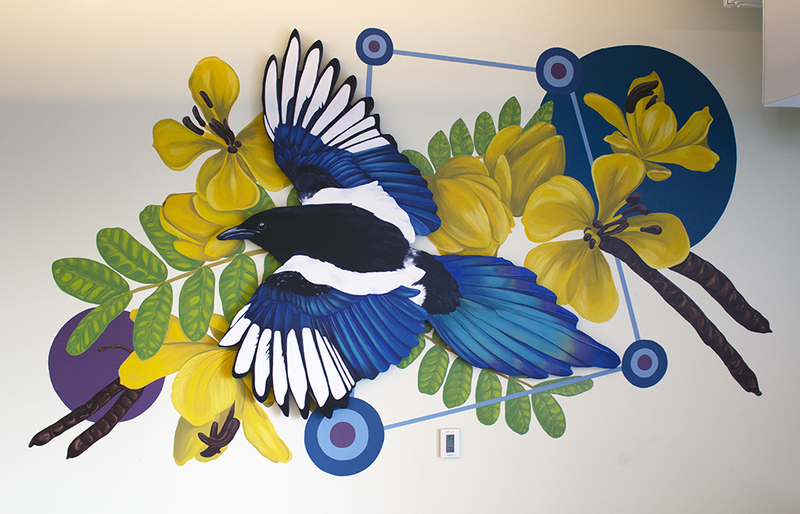 This is the magpie mural. 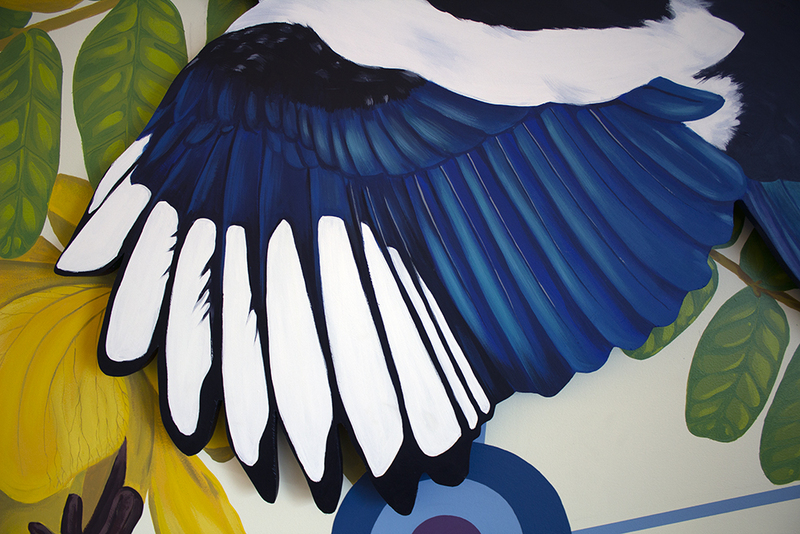 Click here to see the jays.